Our goal with Bean Ninjas was always that we would be managing a team of bookkeepers and growing our business rather than doing the bookkeeping work ourselves. Click To Tweet At 31 December, after our first 6 months in business we had 29 customers and $3,600 of monthly recurring revenue (MRR). 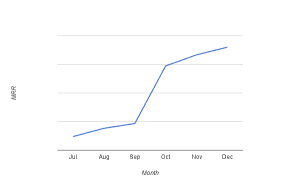 You’ll notice the big spike in MRR in October and the drop in growth rate in November and December. There were a few reasons for this which we’ll go into in more detail in the customer acquisition section. From the start it was obvious for us that MRR and the number of new customers each month would be our key metrics. We have structured our costs in such a way that every additional customer should add to our bottom line so MRR is the key to our success. We wanted to track another 2-3 key metrics and these weren’t so obvious to us. To determine this we reflected on the problem that Bean Ninjas is solving. 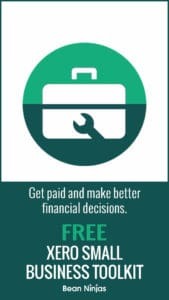 The core problem we are solving is that micro businesses (0-4 employees) need accurate financial information to make business decisions, but high quality bookkeeping is out of their price range. It takes too long to receive financial reports. Response times are slow and bookkeepers can often take more than a week to respond to emails. It is expensive, often because bookkeepers travel to the business and want to work a minimum of 3 hours at a time. The bookkeeping is done poorly and the accountant has to charge extra to correct the bookkeeping. We process data weekly or monthly with a remote team (depending on the pricing plan selected) and reports are available 1-2 weeks after month end. 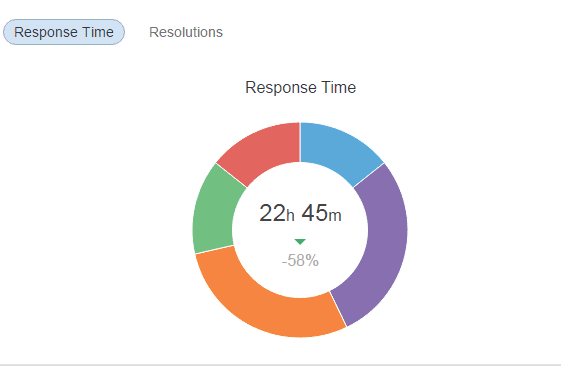 Response times 24-48 (we are aiming to get this under 24 hours). All of the bookkeeping work is reviewed by a CA or CPA before sending reports or lodging a BAS. These are a bit tricky to measure. 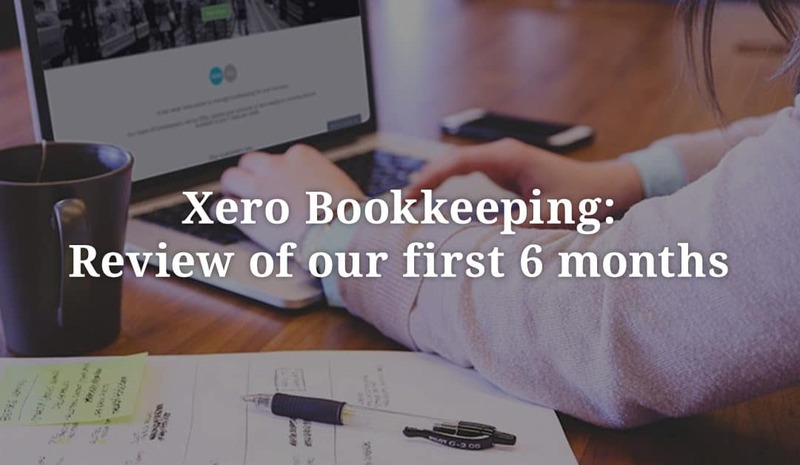 But we are confident in the quality of our work due to our internal review process completed by a CPA and recurring tasks in Trello ensure that all bookkeeping is done on time. Based on the rate customers are signing up we think our pricing must be about right, but we will continue to test this and adapt to the market. We tried many marketing techniques in our first 6 months, most with very limited success. We created a website and waited for the sales to roll in. It didn’t happen, so we gave some other techniques a go. We hired an intern to do flyer drops to businesses in our local area. Our response rate was zero – yes, we did not generate a single enquiry. We read up on email copywriting and drafted a few different email sequences for different industries. Again this generated zero enquiries. This could partly be due to our copywriting skills, but it seemed like a very hit and miss approach. We might give it another go down the track. Next we tried cold calling the businesses we had emailed. No one was interested in our service, but we did get some interesting responses. Some people were annoyed with us for calling, sometimes we couldn’t get past a gatekeeper to speak to the right person and some businesses used desktop accounting software and weren’t interested in what we had to offer. Firstly, we hate cold calling! We want to provide value to people who appreciate it, rather than feel like we are harassing people. It also helped us to understand more about the buying process involved in bookkeeping. Bookkeeping isn’t an impulse buy. Bookkeeping isn’t an impulse buy. You need to find someone you can trust. Click To Tweet It seemed like most people asked their friends and family for a recommendation to a trusted bookkeeper. There needs to be a certain level of trust before you will share your financial information with someone. Our ultimate goal is to have customers purchase online, so in the long term we need to be able to generate trust through our website and the content we are producing. In the short term we needed to build relationships and a network of people who love our service and are willing to recommend us. To get this started we reached out to our own friends and family. We also spoke with our few existing clients and asked if they could recommend us to people in their network. I joined up to a local business networking group called BNI. It was these steps together with a September quarter lodgement deadline in Australia that resulted in 16 new sign ups for us in October. Having so many new customers in October was exciting! The excitement wore off pretty quickly as we realised that we didn’t have the people or processes in place to deliver. Needless to say October through to the first part of December involved lots of late nights and weekend work. This was a big learning experience for us. Knowing that our business is built on referrals we couldn’t afford to let the quality of our work to drop. We stopped all marketing in November and December and focused on recruiting and training a team and improving our internal processes. Fast forward to January 2016 and our team is trained up and ready for business to boom! Knowing that our business is built on referrals we couldn’t afford to let the quality of our work to drop. We stopped all marketing in November and December and focused on recruiting and training a team and improving our internal processes. Fast forward to January 2016 and our team is trained up and ready for business to boom! For the first few months it was good having both of us work on bookkeeping clients. It meant that we were able to pick the best parts of the way we were each doing things to create our internal bookkeeping processes. Over time we realised that it would be better to split off areas of responsibility and focus on different things. 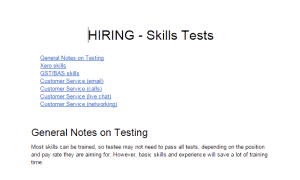 For some co-founders this is probably quite easy as you have different skill sets. We are both accountants and capable of similar work so it was interesting for us to split the roles. Ben is a tax accountant and also has programming skills, so it made sense for him to take charge of ‘product’ and lead our bookkeeping team. This means improving our internal processes, training new staff and reviewing their work and answering any technical tax questions. Ben’s tech skills also come in handy with the website and finding smart ways of using our software. This means improving our internal processes, training new staff and reviewing their work and answering any technical tax questions. Ben’s tech skills also come in handy with the website and finding smart ways of using our software. I like talking to people and collaborating and I love creating systems to help automate and delegate. It made sense for me to focus more on marketing and building relationships. 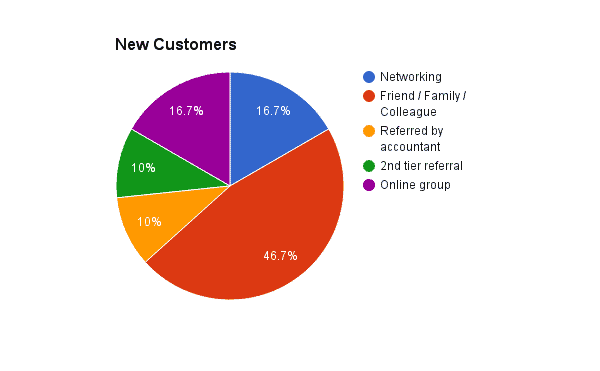 In 2015 most of our customers came through referrals and existing relationships (both face-to-face and from the online forums we are part of). In 2016 our focus is on digital marketing. Before Ben and I started working together, we put together a co-founder agreement so that we were clear on what we expected from each other. This is a useful guide if you’re wanting to draft your own co-founder agreement. If you’re interested in reading more about how we launched our business in 7 days using WPCurve.com Founder Dan Norris’s 7 Day Startup methodology check out this post. In October we launched a recruitment process and hired 3 bookkeepers. Deb and Cheryl are based in Australia and Michelle is in the US. I’ve got 3 words to say about them: they are awesome! We had previously experimented with staff in India, but found that the time involved in managing the staff was dragging Ben and I away from more important tasks. Then I do an initial 15-minute screening call to make sure they will fit in with the rest of the team and have a great attitude. Next the shortlisted applicants get handed over to Ben for a skills test. 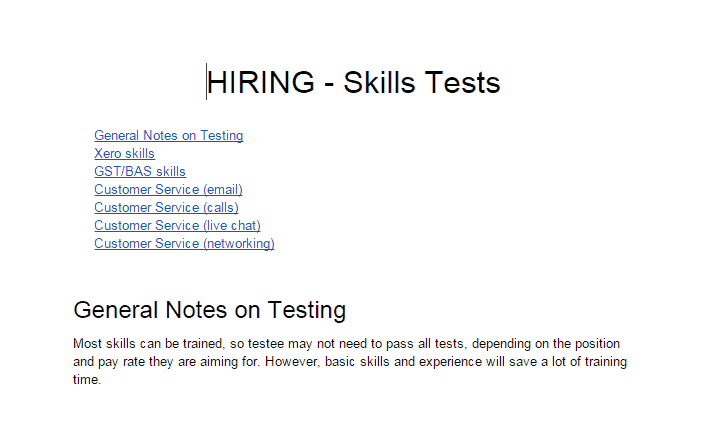 We documented the skills test in Google Doc. Here is a screenshot of the table of contents so you can see what topics we cover. We’re big on processes! As a young auditor at BDO I spent a lot of time mapping the accounting processes of our clients. The main goal was to identify weaknesses in their internal controls rather than improve performance and efficiency. I was always more interested in the performance and efficiency side of things! Our focus for the last few months of 2015 has been documenting our internal processes in Trello and Google Docs so that we can train someone in our team to take over the repeatable tasks. We create a new card in Trello for each new client and then customise their bookkeeping checklist depending on the nature of their business. We’ve automated and delegated most of the ongoing bookkeeping work. The biggest challenge for us in 2015 was avoiding burnout. We were reinvesting most of the Bean Ninjas profits straight back into the business, so we still needed to work in our other businesses to pay the bills. We were both pretty excited about Bean Ninjas so sometimes it was easy to forget about friends, family and other interests. That might work for short sprints, but we realised that we want to grow a long term sustainable business and working at that rate was definitely not sustainable. We’ve tried to set achievable goals for 2016 which encourage us to have a life outside of work. Our other priority is to have a team of happy and motivated staff. For now, we don’t have a metric to measure this, but with only 3 staff it’s not hard to get a feel for how they are going with regular check-in calls. 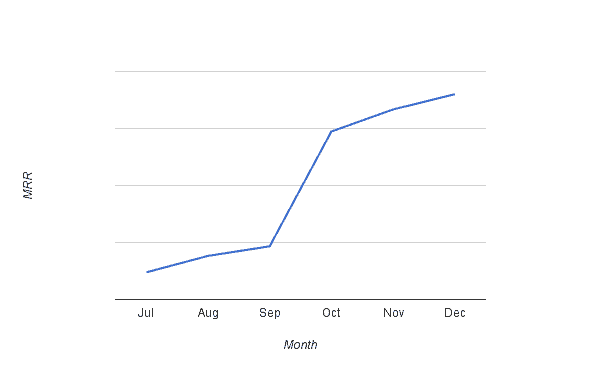 We’ll be regularly blogging about our journey to hit $20k MRR and beyond.